Culture is defined as a particular form or stage of civilization, as that of a certain nation or period: see Miami Heat. Once again the Miami Heat ownership and management show why this team is nothing but first class. 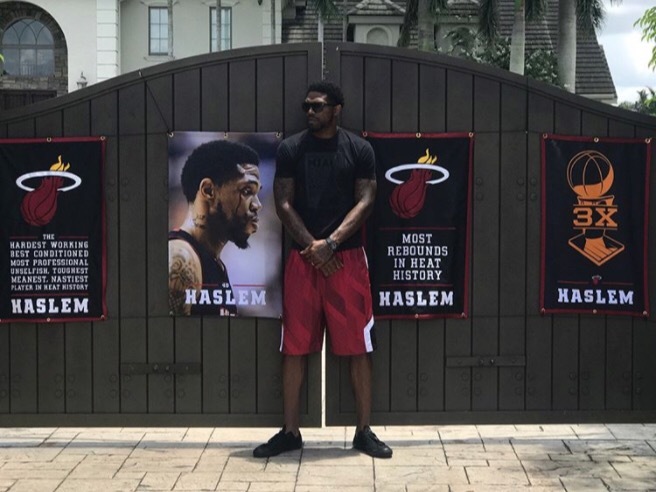 That’s what the first banner reads as you pull up to the front gate of Heat Lifer, and Miami icon Udonis Haslem’s house. First of four banners, the organization placed covertly on his property in the middle of the night as free agency officially kicked off at 12:01 am, July 1st. The other 3 reminding him of all he’s accomplished and all that he means to this team and to this city. Take notice Gordon Hayward, this is culture.